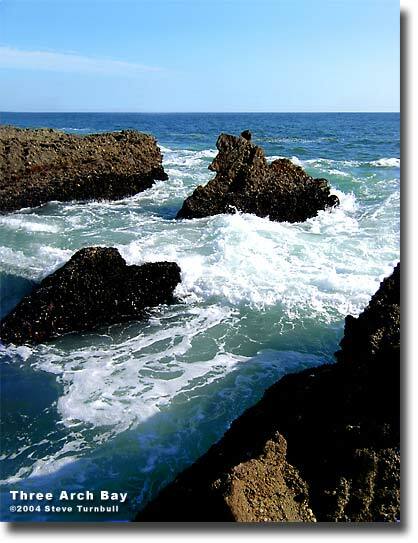 Three Arch Bay, located along the rugged coast of Southern California just south of Laguna Beach, is a place of peace and beauty that has sheltered our families, soothed our souls, and nurtured our love of the mighty Pacific Ocean for generations. We are a very close-knit community of many different types of people - businessmen, artists, doctors, musicians, lawyers, judges, movie stars, surfers, poets and priests - who all share in a love of sun, sand, family and life. Three Arch Bay is a seaside village chock full o' Grandparents, Moms, Dads, kids, dogs and cats, who all take joy in our blessed surroundings, are generous to our neighbors, and accept each other as equals and friends. Picture taken by Craig Miller - thanks! See more wonderful sky views from Craig Miller here! 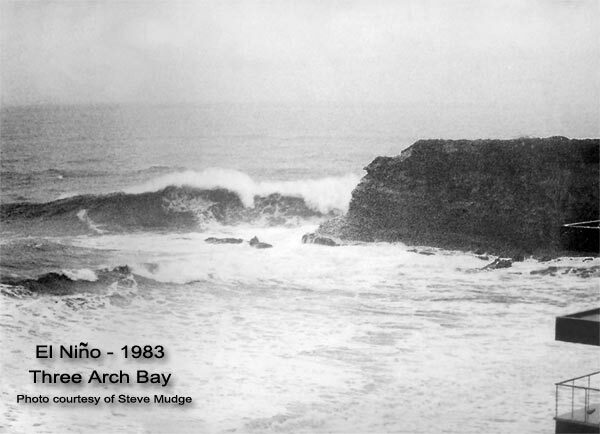 Steve Mudge tells us that this was the storm that removed all of the beach lockers for good. Yeah Mother Nature! John Parlette, another TAB old-timer, agrees with Steve and says that the lockers and a huge amount of other debris floated out by bird rock and knocked the top 5-8 feet off of it. If you compare old and new pictures of Bird Rock, you can see that it certainly is shorter today then pre-1983. 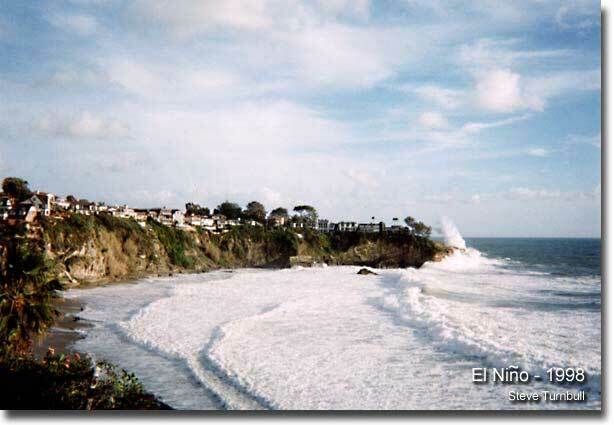 I lived on the cliffs of Paradise Cove at the time, and we lost our stairs to the beach (They were 80ft. High) and a window broke from the concussion and vibration during a huge set in the middle of the night. I stayed awake all that night thinking the entire cliff face would cave away, dropping us into the water, from the huge surf pounding against it. The wave spray would drench our tiny home as if a waterfall fell on it every 20 seconds, and we were 80 feet above the sand! Jeeze...I loved it. Whitewater from out beyond the entrance of Three Arch Bay all the way to the cliff faces, with wave spray higher then the homes on the cliff tops. Go Nature! 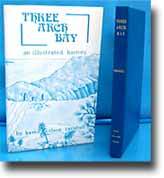 "Three Arch Bay - An Illustrated History"
My wife, Karen Turnbull, wrote a lovely book called "Three Arch Bay - An Illustrated History" in 1977. The books sold out almost immediately, and unfortunately they are no longer available, except occasionally on ebay or Amazon. 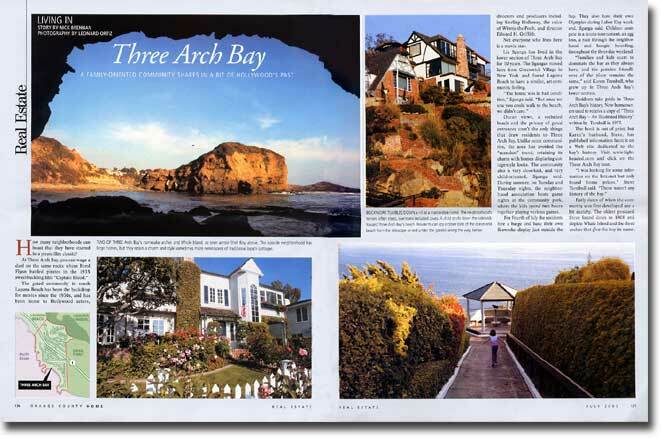 Many newcomers to Three Arch Bay have requested that we reprint the book, but it is just too expensive nowadays. Of course, it was too expensive way back then too, but we were too young to know what we were getting ourselves into! The book has now been reprinted in soft-cover by the Three Arch Bay Womans Assoc and is available at the TAB Clubhouse. So, I'd like to record the history of Three Arch Bay in pictures, painted with stories and tales of those of you who have been here a while, but this time do it on the web. I'm sure that there are many of you, especially you long time residents, that might like to contribute with stories or photos of the Bay, and I am most open to your input. 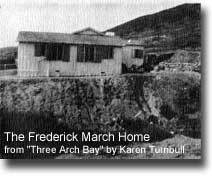 I'm always looking for any photographic material, postcards, land deeds, house plans, window stickers, correspondence or any kind of memorabilia of Three Arch Bay. I don't want anything physically donated to a collection. 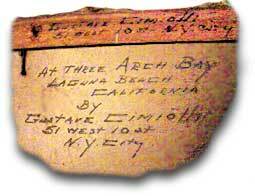 I only want to preserve a record of your items digitally, so that all of us - our children, our relatives, our guests and friends can enjoy this little treasury of Three Arch Bay anywhere in the world. Please with any information you might have. Hopefully, and with your help, this will grow to become the treasury of all sorts of fun, historical, and interesting facts about this, our most beautiful home. by resident Craig Miller. Terrific stuff! 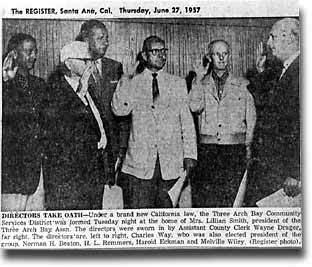 The history of Three Arch Bay would not be complete without a nod to the men and woman who created and maintained the sales, development, and all building of the Three Arch Bay housing tract. See the material donated by Mr. Joe Carter, with some great photos of the Tract office, which still exists today. Also, did you know that there used to be a restaurant at the entrance to Three Arch Bay? 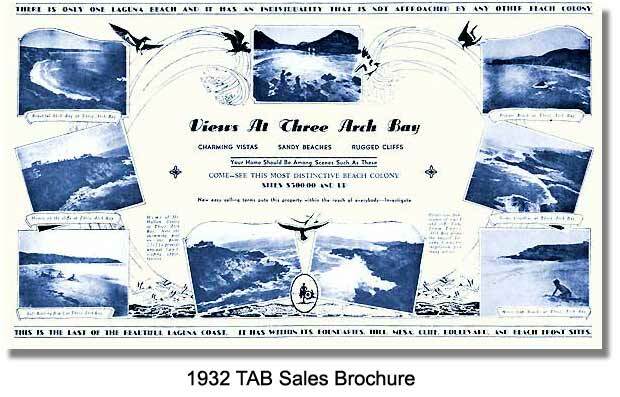 What did Three Arch Bay sell for? $135,000 for ALL of Three Arch Bay!! 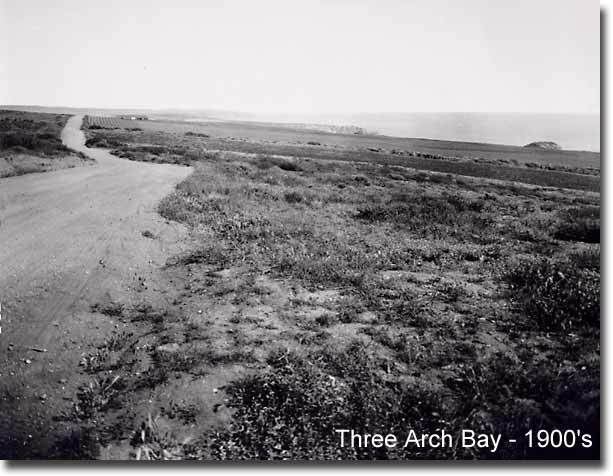 An accidental discovery brought these wonderful old pictures of Three Arch Bay and South Laguna to light! See our home from a vanished past, and help us discover who these people are. Where are they now? Does this home still exist? Visit a gentler time and help fill in the gaps of our knowledge. Historic Three Arch Bay postcards. 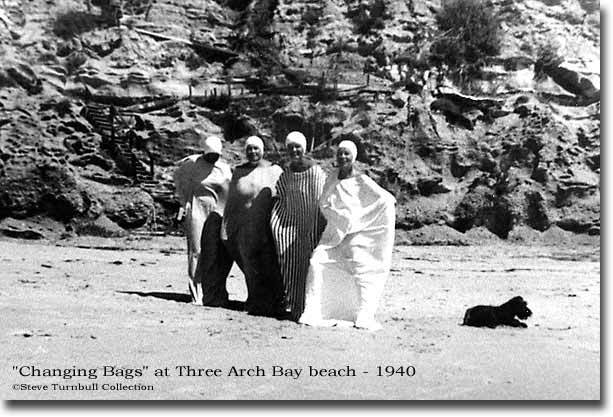 Take a colorful look back at the history of our beach community, through the medium of postcards. 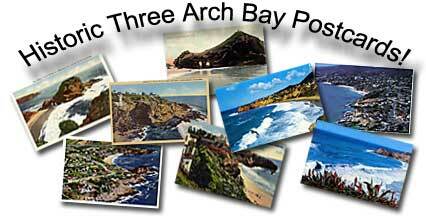 The most complete set of Three Arch Bay postcards ever assembled in one place. They range in date from 1907 to 2004. $100 down on a $3000 lot. Built entirely by hand - without power tools! Want to see a huge version of this brochure? Just click here or on the image above. 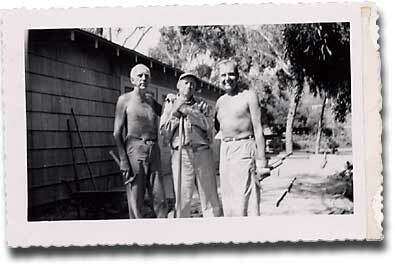 "Living in Three Arch Bay"
Orange County California, published by the Orange County Register. If you want to read the full article, I have these pages in full-size here. 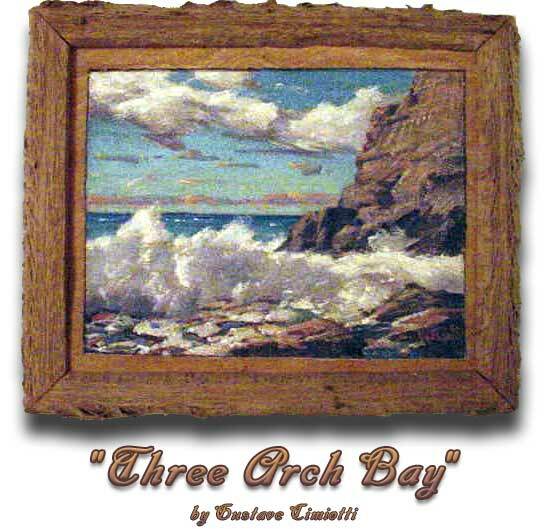 An oil painting of Three Arch Bay by Gustave Cimiotti (1875-??). See the photos captured by Greg May and Steve Itrich on April 20, 2006 here! 33°29'27"N Latitude, and 117°43'53"W Longitude. Dr. Dale Stewart of the Smithsonian Institution examines "Laguna Woman"
The oldest human remains in the Western Hemisphere, 17,000 years old, were found in Laguna Beach in 1933 by Three Arch Bay resident Howard Wilson, so we can be fairly sure they were in Three Arch Bay at least that long ago...and probably much earlier. 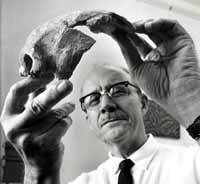 The petite female skull was dated in 1968 by Dr. Willard Libby (Nobel Prize winning inventor of Carbon 14 dating), and Dr. Reiner Berger of the UCLA Carbon Dating Lab at the urging of Dr. Louis Leakey, the famous African archeologist. They were all astonished to discover that it was twice as old as the earliest known humans in North America. Because of contamination by organic matter, which made it date much younger then it actually was, Dr. Leakey was convinced that it's true age is probably 30,000 to 40,000 years old. Maybe older! Imagine that! Read the whole story of the most important find in American Archeology! 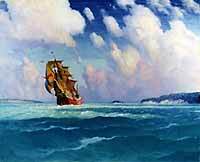 While there is no mention of what they saw as they sailed northward, it seems quite likely that his band of explorers sailed past Three Arch Bay, then turned west after passing Newport Beach, when the winds and distances become much more favorable for a channel crossing. In 1837, Joaquín Rios of San Juan Capistrano, surveyed the coast from Newport Beach to San Juan Capistrano using a 300ft. rope. He most certainly passed through Three Arch Bay, but unfortunately, that name is not recorded in his log. The surveying procedure was accomplished by first staking the rope, marked off in "Varias" of approximately 31-34 English inches, into the ground. An assistant would then ride ahead through the tall mustard and undergrowth and pull the rope taunt, then stake it into the ground and record the length. The man in the rear would then pick his stake up and ride to once again to stake the rope another 300 Varias ahead. Many forgotten herders and Vaqueros traversed the cliffs and bluffs of Three Arch Bay rounding up strays, but their names and deeds lie forgotten and unrecorded. 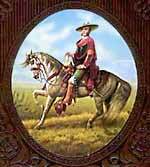 Only Joaquín Rios' name speaks to us from this great past. The first to name Three Arch Bay is lost to time, and will probably never be known, but most old timers all repeated the common lore that wandering Spanish shepherds first referred to "la bahia de las tres ventanias" ..."The bay of the three little windows"..in the early 1800's. 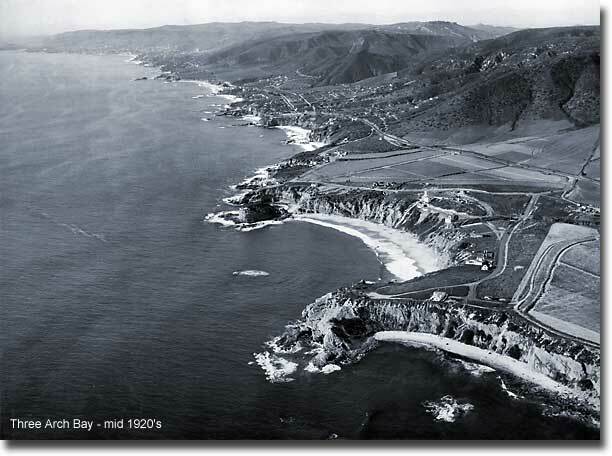 The first known mention of Three Arch Bay was in an undated letter from Laguna's pioneer, George Thurston, who homesteaded in Aliso Canyon in 1871. "We met at Three Arches, the famous rock that photographs as a great turtle with three arches under his neck." One "Mr. MacManus", a miner who worked for the pioneer Goff brothers looking for water, took up residence "near the rock with the three arches" in the 1860's with a young Irish wife and child. I believe the earliest dated photograph is from a Three Arch Bay postcard sent in 1907. 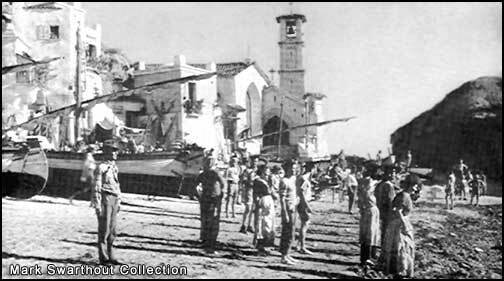 However, there may be earlier photos, like this one, but I do not know the date of them. Do you know of any positively dated older ones? A post office with the official name of Three Arch Bay opened on December 22, 1934, with Mrs. Grace Powers as postmistress. 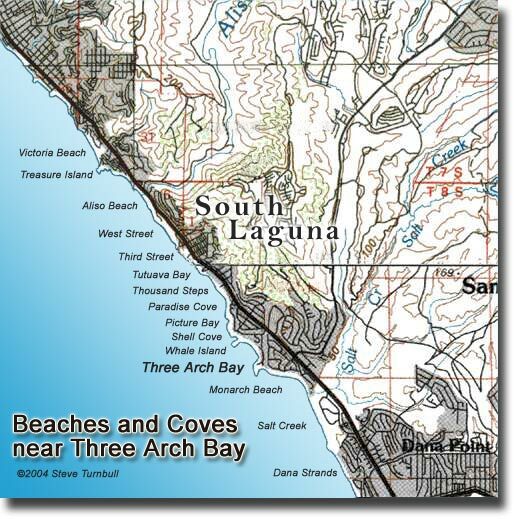 The following year, residents voted for a new name, and while "South Laguna" was not one of the choices on the ballot, it still won by a write-in vote. 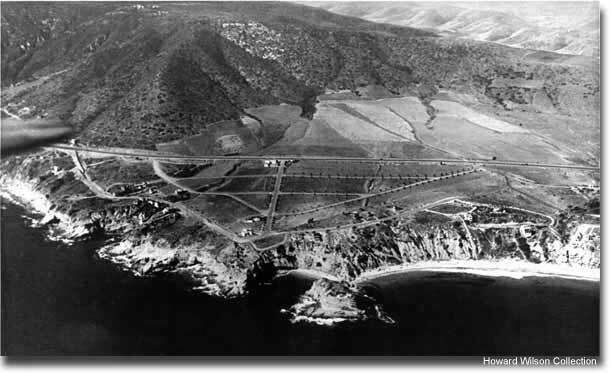 The name was changed to South Laguna on December 1, 1935, but the entire area from Victoria Beach to Monarch Bay was officially known as Three Arch Bay for that one year. I look constantly for any letters or postcards with the Three Arch Bay postmark, but haven't found anything yet. Do you have any old family correspondence that might bear this postmark? 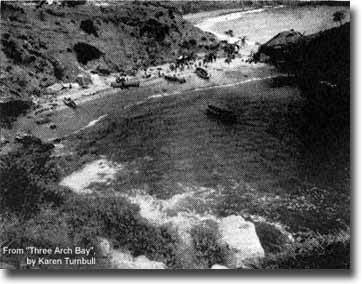 Something utterly astonishing came swimming by Three Arch Bay in 1922, witnessed by two of Three Arch Bay's earliest visitors and residents. What the heck was it? And more importantly, will it ever come back? Read the amazing story here! For years, the screaming of jet engines were a constant daily background sound in Three Arch Bay, today replaced by the whine of leaf blowers. 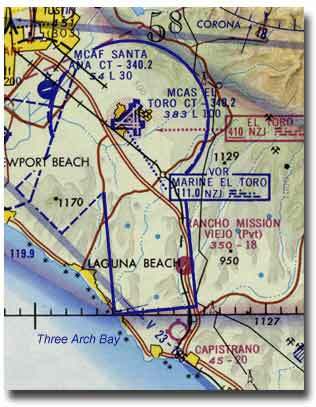 The landing pattern for military aircraft landing at El Toro Marine Base started directly above Three Arch Bay. Aircraft from all directions would turn into the coast at an altitude of 2,500 feet, then adjust their engines to maintain a steady and constant rate of descent to the base, eight miles away. This was always a dangerous and busy time for the pilots, as the steep coastal hills suddenly reduced the space below them by almost 1000 feet, while at the same time they had to adjust the engines with rapid throttle movements, lower the flaps and landing gear, and begin flying much slower with less control. It was a rainy day with very poor visibility on April 10th, 1956, when luck ran out for a Marine pilot who had just turned in over Three Arch Bay to start his approach. Flying an A-7 "Corsair", a powerful fighter jet, something went terribly wrong, as the aircraft lost altitude and smashed into the hilltop above. There were Firemen swarming all over the mountain, climbing up through dense brush to reach the huge fire that was started by the disaster. The pilot did not survive. In a heartbreaking coincidence, his wife gave birth to their first child that same day. In 1970, I located this crash site, and discovered that there was still a tremendous amount of small wreckage strewn about over an area of about 200 by 500 feet. I like to think that this brave aviator tried his very best to avoid the homes in Three Arch Bay, as the crash site wreckage pattern indicated he was deviating from the straight ahead approach, and turning away toward the south. Today, the new houses of Pacific Island Terrace have covered this spot over for good. 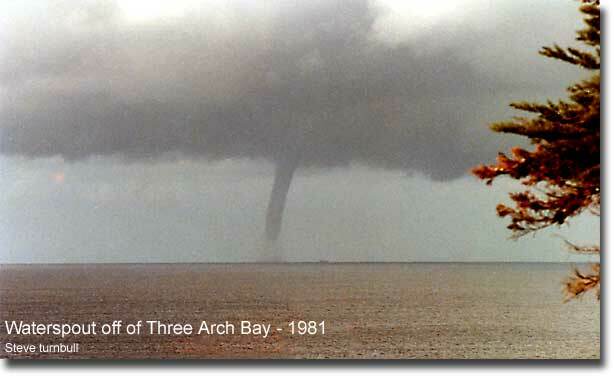 For many years I have watched literally hundreds of these magnificent waterspouts form off of Three Arch Bay, and nearly every time, my camera is either somewhere else or out of film. One time in the early 1970's I spotted a storm cloud that had seven huge waterspouts snaking down to the ocean all at once...but no camera with me. Having learned to recognize the cloud and wind conditions that spawn them, on this day I was ready. Sure enough, a very large and well formed spout soon began to spiral down out of the clouds (see above). Notice the large cargo ship near the funnel..what a sight it must have been for them! this picture because I couldn't get the camera out of it's case! 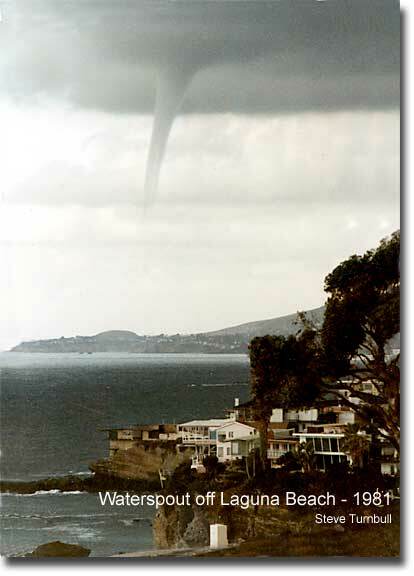 This spectacular waterspout from the 1981 weather system above eventually came ashore right down Broadway Avenue in Laguna Beach, but it's main power was rapidly dissipating right at that moment. Just before getting into position to take this picture, the funnel cloud was touching the water, but by the time I got the camera out of its case and focused, it had begun to go back up into the clouds. You can still see the seawater mist (right below the bump of the hill at El Morro) swirling from where it had been. The distance from the camera to the funnel is approximately 4 miles (6.5 kilometers), and the base of the clouds were reported at 3,500 feet (1,066 meters). A little calculation shows that the funnel was around 300 feet wide (91 meters) near the cloud base, and around 160 feet wide (48 meters) at the tip.When the weakened system hit Broadway Av., it caused almost no damage except for flinging a bus bench into the middle of the street, then disappearing entirely. Soon afterward, I called the then famous TV weatherman of the time, Dr. George Fischbeck, at the KABC studios in Hollywood and told him what I had seen. The enthusiastic Dr. Fischbeck started into a long discussion of the phenomena, and we stayed on the phone for nearly 45 minutes exchanging stories and trivia of similar events. 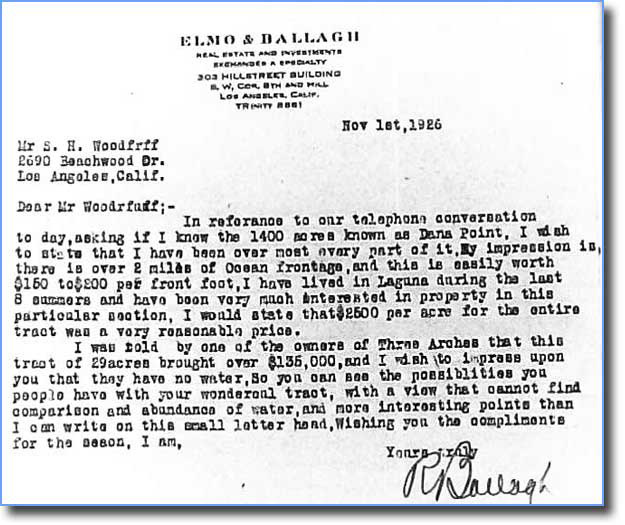 He related that most of the reports of Waterspouts in Southern California seem to come from between Dana Point and Newport Beach, and he felt the unique and steeply abrupt coastal mountains of Laguna, combined with the wind shadowing effect of Catalina Island were the primary cause of their formation. That night on his TV broadcast, he launched into a similar spiel for his Los Angeles audience, and told the story of a "huge Waterspout off of Three Arch Bay reported by one of my close friends." I really miss Dr. George Fischbeck - a real, true weatherman and Boy Scout leader who loved to teach others about our amazing world. 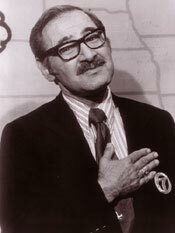 If you are old enough and were lucky enough to have seen Dr. George in action, then treasure the memory of seeing an authentic human being, actually reporting on TV, as they don't seem to exist anymore. I can only sadly shake my head at the hairstyled, tanning-boothed, know-nothing clones who have replaced this wonderful soul. See more of this amazing natural phenomena and the latest Waterspout pictures! We must consider other vistas around Three Arch Bay, including those above our head. I came to the Bay in the 1960's. At that time, the surrounding areas of Mission Viejo, El Toro, Laguna Niguel and others were nonexistent. Three Arch Bay was surrounded by a pool of inky blackness at night, with only a very faint glow coming from the lights of Laguna, 4 miles north. The blazing constellations were our constant companions. We lived under a starry dome of treasure. The night sky above was truly a wonder to behold. A brilliant Milky Way ran up and over our heads like a river of Diamonds, shimmering with ghostly fire from horizon to horizon throughout the winter months. The farthest object away that you can see with the naked eye, the Andromeda Galaxy, would glow like soft cotton in the folds of Cassiopeia's dress. 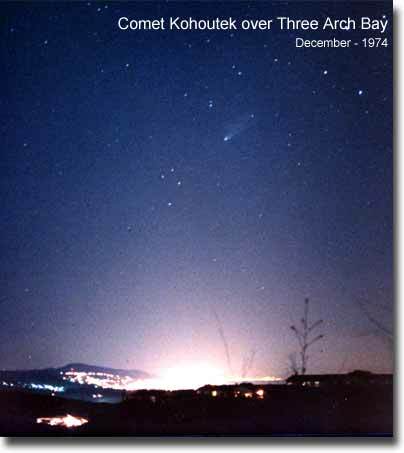 Comets, those mysterious periodic celestial visitors, would plunge into the inner solar system trailing long delicate tails of dust and gas to grace our skies. I loved to take pictures of them. The yearly meteor storms can always be counted on to liven up the night with their silent but furious rain of dust, burning blue, yellow, and green as they plunge into the thick atmosphere above. 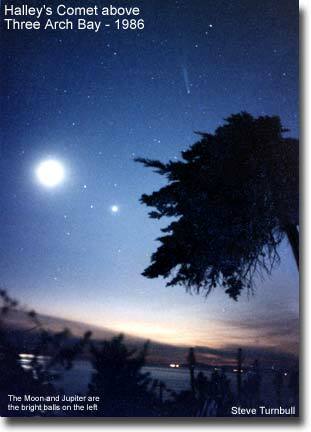 One night in 1972, I was lucky enough to witness a "once in a lifetime" event, a huge fireball above Three Arch Bay. The meteor, as large as a car, dashed in from the East toward Catalina Island, lighting up the night sky as if it were noon on a sunny day. Shadows raced along the ground, the ocean became a brilliant deep blue, houses were in full color, with the fireball an incandescent blue plasma ball bigger then three moons in width. Today, the gentle night sky is nearly gone from our view, stolen by the illuminated crush of encroaching civilization, and the bewildering need by some locals to light their homes as if they were department stores. This marvelous treasure has gradually slipped away from us, a little bit more and more every year. We hardly noticed that it was going away. But it's still not too late! Turn off your lights and look up. At one time the Fourth of July fireworks display was launched from the top of Whale Island, which was the cause of much soil destruction and numerous fires. Thankfully that practice has been abandoned for the far more rational approach of launching them from a stationary barge, moored in the center of the bay. See what it looks like on the barge on the web site of Mr. Jim Walls who helped launch the display from the "Phillips Foss". The great Laguna fire of 1993 was a complete disaster. 366 homes destroyed and 17,000 acres destroyed in one day. The city ordered the entire city evacuated. The police shut off all access to Laguna for two days. In response, the city began a unique experiment in fire control, by using herds of cute goats to eat the thick underbrush of Laguna's hillsides, however they are a very destructive force in their own right. But the damage has been done. Love them or hate them, the goats are now permanent yearly visitors to Three Arch Bay. See pictures of this terrifying destructive force - and the fire too - here! In 1970, Brian Wilson of the Beach Boys wrote the melody to a song called "California Feeling" that mentions Three Arch Bay. The Lyrics were written by Stephen Kalinich. The song was to be included on an album named "California Feelings", but the song and album were never produced or recorded for somewhat hazy reasons. 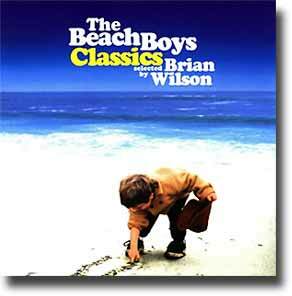 But in 2002, Brian finally included the song in an album of his personal favorites called "Classics: Selections by Brian Wilson"
When you're driving through L.A.
"I saw the website for Three Arch Bay. For your information, I am the person who wrote the lyrics to "California Feeling". Brian Wilson wrote the melody. I am the one who went there many years ago, and Brian was my partner on it. I had a friend who had a house there. I loved it and that is how it got into the song. A new version is coming out soon with Al Jardine of the Beach Boys. I just wanted to let you know so you could correct it on the site. 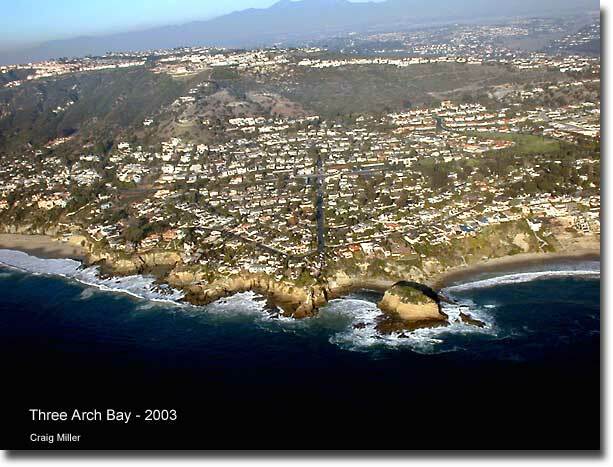 I love Three Arch Bay and it is because of me that it is in that song and the whole world knows about it. It should be corrected on the site. So there you go Stephen. The site stands corrected and thanks for the update. Visit Stephen Kalinich's Website! With thanks to The Dory Fleet of Newport Beach, and their great recipes! 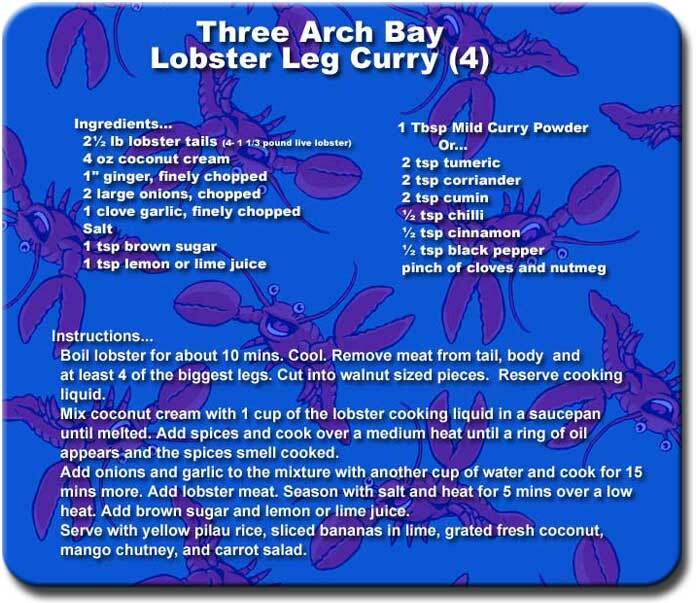 NOTE: Do NOT remove Lobsters from Three Arch Bay! It's a protected environment! home is identified by both date and owner from writing on the back of the photo. Thus, it can rightly be said it is the earliest known home in TAB. 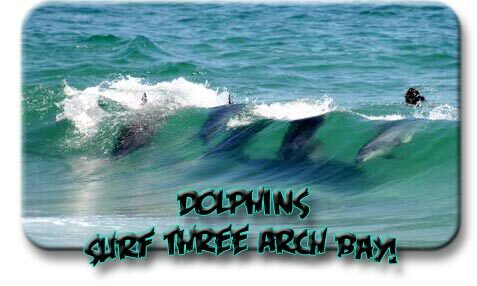 Size of Three Arch Bay: 120 acres. 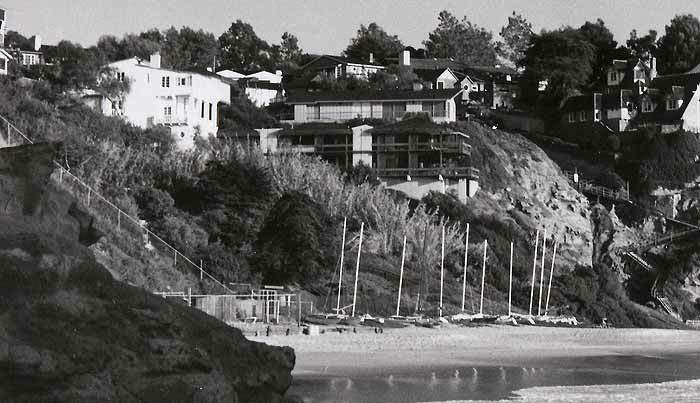 Many of Hollywood's actors, writers, and directors have lived in Three Arch Bay, and it was only natural that the movie folk would also use the rugged rocks and beach of Three Arch Bay and it's surrounding hidden coves as a backdrop to their films. Probably the first, and the most notable Hollywood personality would be Producer / Director Edward H. Griffith, who built his home, with the famous lighthouse, at 40 North La Senda in the 1920's. "Ned" Griffith married America Chedister, a Hollywood actress, and they lived here the rest of their lives. 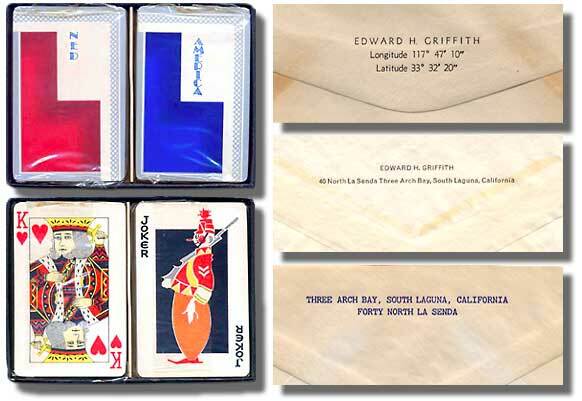 Mr. Griffith died in Three Arch Bay on March 3, 1975, with America following him eight months later on November 1, 1975. Other Hollywood notables have also lived in Three Arch Bay, like Academy Award winners Frederick March (Dr. Jekyll and Mr. Hyde, The Best Years), who had a home at 29 N. La Senda, Donald Crisp (How Green Was My Valley) who also lived on N. La Senda, and Costume Designer Edith Head who once lived at 25 North La Senda. Upper Three Arch Bay was the home of beloved Hollywood actor, Sterling Holloway, the voice of Disney's Winnie the Pooh, The Cheshire Cat in Alice In Wonderland, the Stork in Dumbo...and many others. 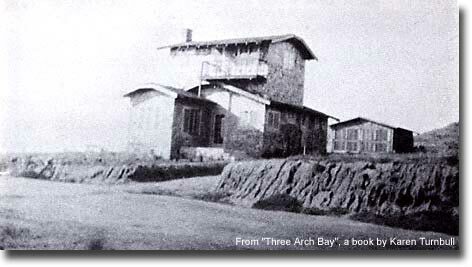 Lionel Barrymore, Douglas Fairbanks, D.W. Griffith, Mary Pickford, and many others are all known to have spent time with friends here in Three Arch Bay. 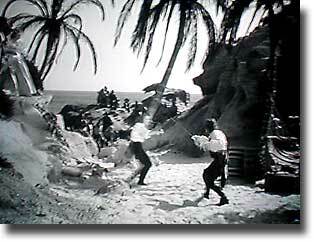 In fact, at one time, Cecil B. DeMille wanted to buy Whale Island and build a castle on it. Thankfully, that dream never materialized! 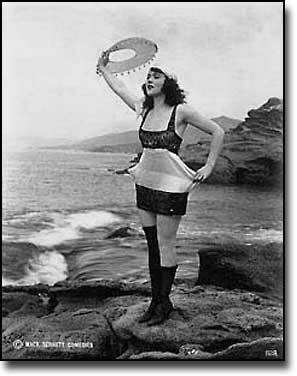 Three Arch Bay resident Mary Maxwell said that she was cast as a mermaid in a Max Swain picture by Mack Sennett that was filmed in and out of the arches of Whale Island, and in the coves of Three Arch Bay. 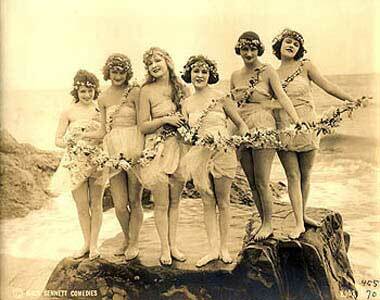 "The mermaids ran around the rocks and arches all swathed in chiffon and barefooted. Much of the footage was shot late in the evening with large spotlights shining on the girls, thus giving the picture an eerie quality." Could it get any cuter than this? I have been unable to locate the rock they are standing on, and the more I look at it, the more I am convinced it's a wooden "prop" rock, covered in canvas and painted. I have created and painted thousands of sets and props in Hollywood for almost thirty years, and this rock just shouts "prop" to me for many reasons. They are called "risers" in the film business - a raised platform with a smooth surface for the actors to perform on, that is easily portable for different lighting and camera positions. Of course, I can never be completely certain of this theory. Research Pays off - Lost Photos Found and Identified! 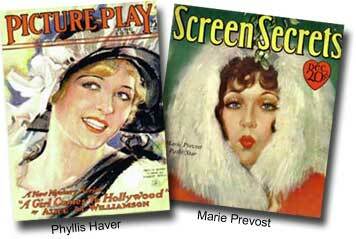 Using the information from Mary Maxwell above, I went searching for more information on Mack Sennett. and 'Lo and Behold'... just look where they were taken. Right here in Three Arch Bay! The 1916 dates are pure guesses based on film biography dates, what studios the actresses were working for, who was where and when, and family biographies, but I'm certain they are within 2 years of the correct date. Research pays! I have positively identified the location of these photos as being in Three Arch Bay, but I have four more pictures that are more difficult to pin down. They feature these same actresses and others, including one with Gloria Swanson and Phyllis Haver together, from this same film run. Unfortunately, I have been unable to locate the exact place they were taken, but the matching geology of the rocks, and other clues, convinces me that they were taken in Three Arch Bay. See if you know where in Three Arch Bay these mysterious other photos might have been taken. Click here. 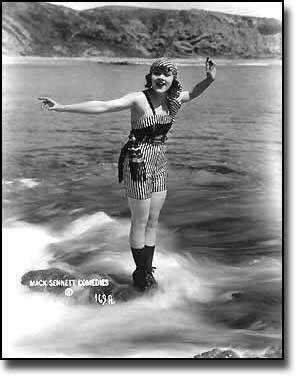 Mack Sennett "Bathing Beauty" Phyllis Haver gets her lovely swimming boots wet at Three Arch Bay in 1916, She is standing on the shallow rocks near the south side of Whale Island, and the cliffs in the background are where the future "Cliff Coté" home and southern steps to the beach will be built 20 years in the future. 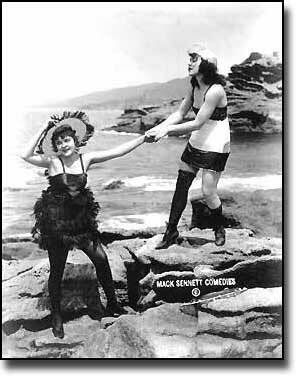 Mack Sennett "Bathing Beauties" Phyllis Haver and Marie Prevost cavort in the latest risqué swimwear at Three Arch Bay in 1916. Here the two famous women are posing on the tip of Whale Island, with Rogers Point and Laguna Beach to the north in the background. "Our wardrobe department supplied what it thought was appealing in the way of bathing suits. They sent over high rubber shoes, black cotton stockings, dark blue bloomers and voluminous tunics with tatted neckpieces and ballooning sleeves. I howled in dismay and told them to junk all that stuff and design some bathing suits that showed what a girl looked like. The whole studio turned conservative on me in one of the most unexpected upheavals since the San Francisco earthquake. Even the comedians complained I was risqué. But I went ahead and put the girls on film in the most abbreviated suits possible.... When the studio received hundreds of letters of protest from the women's clubs, I knew I had done the right thing." While looking through some old records in the special collections section of the Laguna Beach Library, I ran across this untitled photograph. 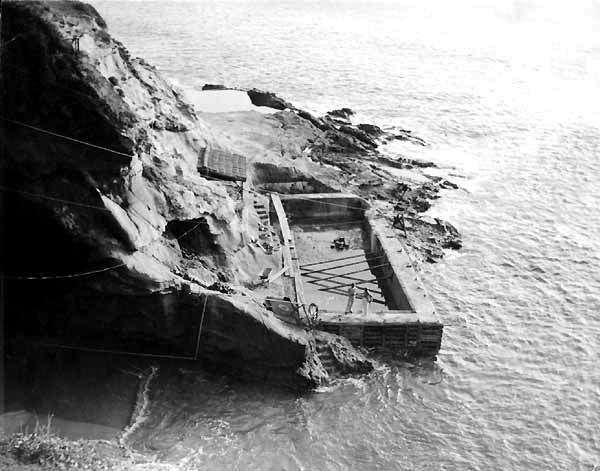 At first I thought it was a photo of the filming of "Captain Blood" in 1936, but upon closer inspection, I quickly realized that it couldn't be because there are only two homes visible on the cliffs above. 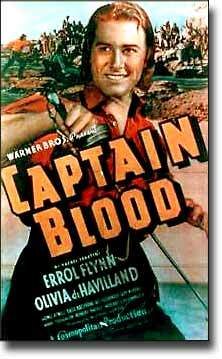 By the time "Captain Blood" was made in 1935, almost the entire cliff face was already built out with homes. 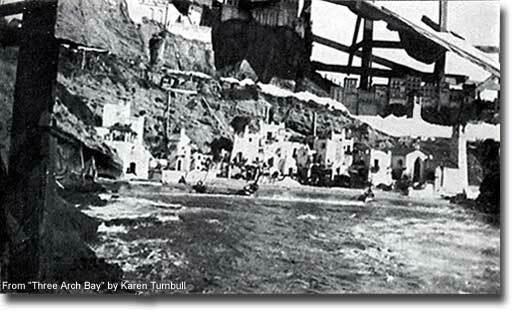 So....it's an unknown film being made in Shell Cove sometime in the 1920's, probably around 1927 judging from the two homes visible on the cliff tops in the background. The Polynesian huts appear quite large and substantial, indicating a high-budget production, so most likely a major studio made this. With the deduced information above, I will now begin searching for all movies made in this period and see what I can find, so stay tuned! But maybe you already know what film this is. Captain Blood was nominated for an Academy Award® for Best Picture and Best Sound, but if they had only included Best Location it would have won! Filmed in Three Arch Bay and Shell Cove.. 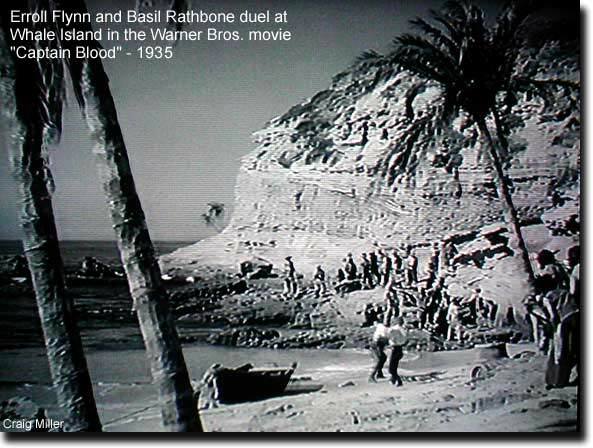 The classic 1935 Warner Bros. film "Captain Blood", starring Errol Flynn, Olivia DeHaviland, Lionel Atwill and Basil Rathbone also used the cliffs of Shell Cove in Three Arch Bay as the backdrop for the setting of a tropical Caribbean island. In the classic swashbuckling epic that catapulted him to worldwide stardom, Errol Flynn plays Dr. Peter Blood, an English physician unjustly convicted of treason and sentenced to slavery in the West Indies. Relying on his formidable nerve and wit, he escapes and soon becomes a feared pirate known as Captain Blood, a brilliant swordsman and seaman whose fiercely loyal crew is made up of runaway slaves grateful to him for winning their freedom. 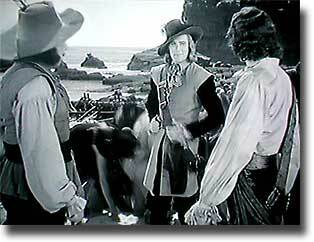 Here Captain Blood is dueling with the villainous French pirate Levasseur on the rocks of Whale Island. me you scurvy rats!! Now prepare to die in Three Arch Bay!" 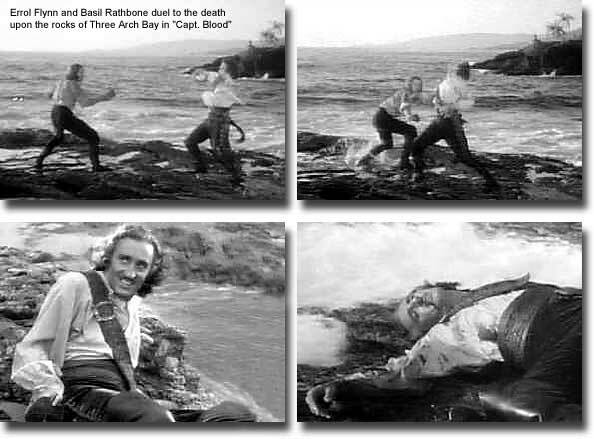 Over the years I have heard from many different people who "know for sure" that the legendary picture "Captain Blood" was filmed at Diver's Cove, or Shaw's Cove, or Victoria Beach, or Arch Beach, or...well heck, you just name a beach and I've heard it. I've tried to correct them, but it does no good. They all seemed to have a stake in it being filmed at the beach where they lived, and they were not going to accept my word for it. Well, pictures don't lie. I have matched up the exact location of each of these pictures above, and they prove that "Captain Blood" was absolutely, positively filmed in Three Arch Bay. I have many other images that match up exactly with the rocks of Three Arch Bay, but left them out for brevity. 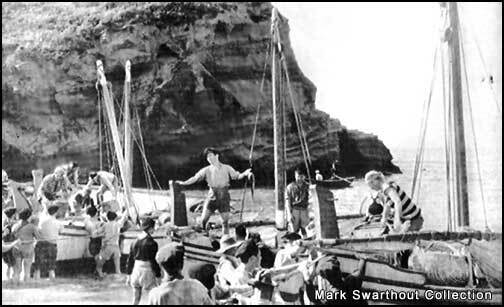 I also have many eyewitness accounts from old time residents of the Bay that were here during the filming, and even some cute anecdotal stories of the film crews hanging out in an empty house on the cliffs above. I will add them in time. "You think I'll trip over that nonexistent wooden post behind me, don't you? Ha! Prepare to die in Three Arch Bay!!" Now I'd like to address one of the misconceptions amongst the locals here in Three Arch Bay concerning that stump of weathered square-ish lumber, still imbedded in the sand and rocks between the cliffs and Whale Island. I've heard many claim that it is a leftover from the filming of "Captain Blood". 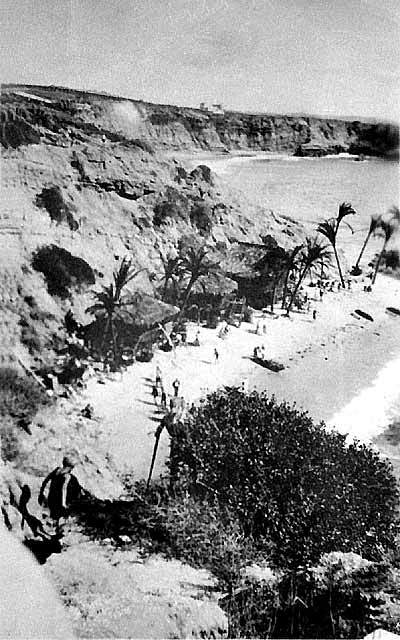 But these pictures of Shell Cove show that there was no construction on the beach for this film, other then temporary Palm trees, none of which were in that exact area. However, if you look at the pictures for the filming of "Give Us This Night" filmed the very next year (below), you can see that a large 40-50 foot high building was constructed exactly over that location. A building that tall would have been constructed and firmly anchored down into the sand with exactly the type of lumber we find there today. 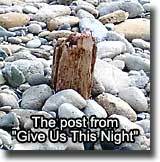 There was never another structure or sign known to have been built in that area, so I believe that the stump is from "Give Us This Night", and not "Captain Blood". 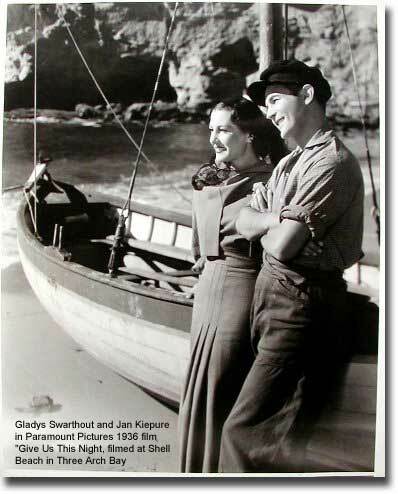 Gladys Swarthout and Jan Kiepura starred in the 1936 Paramount Pictures film "Give Us This Night", filmed against the spectacular cliffs of Shell Cove in Three Arch Bay. Music for this movie was composed by Erich Wolfgang Korngold and Oscar Hammerstein II. 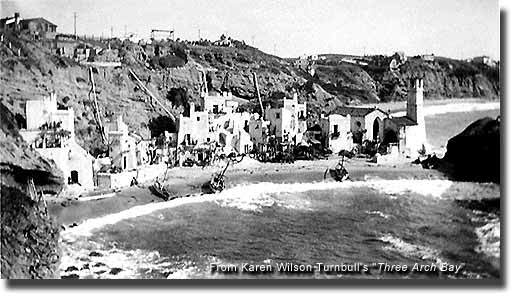 The small, secluded setting of Shell Cove was perfect for the recreation of an Italian fishing village where the story takes place. A local fisherman, after being introduced to the world of Opera, luckily meets Gladys in the town church while he hides from the local police. They both become captivated with each other after hearing each others golden voices while they sing along with the rest of the worshipers. 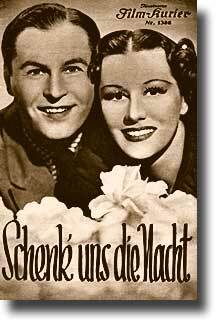 But Gladys' guardian is a noted composer who also has strong feelings for her too - the classic love triangle. In the end, Gladys chooses the fisherman with the beautiful voice. The movie set for "Give Us This Night", shown above, was built in Shell Cove. The cameras were set up on the rocks out on Roger's Point shooting back toward the beach. On a wooden framework, right in front of the cameras, there were scenic painted canvases draped and cut so that they covered the background cliffs with fantasy landscapes and buildings that didn't exist. This was certainly cutting edge special effects for that time, yet the tradition of "matte painting", where a scene is hand painted on glass, which the camera then shoots through, still thrives in Hollywood today - and I should know, as I've painted a few of them! German movie poster for "Give Us This Night"
WOW! I was born too late! Do you see the farmhouse in the distance, along the dirt Pacific Coast Highway? Now take an extreme close-up look at the farmhouse, located where the entrance to Three Arch Bay is today. Just click here, or on the image above! 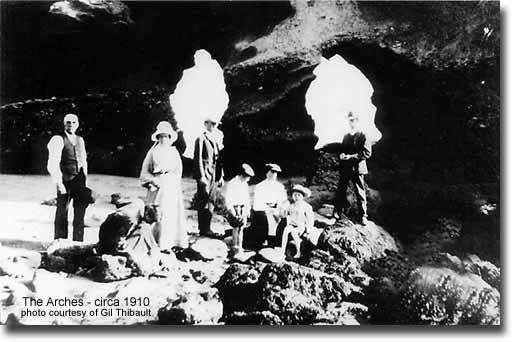 A family photo at the Arches circa 1910. Cousin Lester (second from left) looks like he ate just one too many mussels, eh? After a very close comparison, I believe that this photo comes from the same photographer who published one of the oldest known picture of Three Arch Bay on a post card mailed in 1908. The distinctive dress and hats, the number of people, the same timeframe and the great difficulty in getting a bulky camera and well dressed family down to the Arches way back then all point to the conclusion that these people are the same ones in both pictures. The similarities between the man standing on the right above, and the man standing on top of Whale Island (right below) in the postcard is striking. 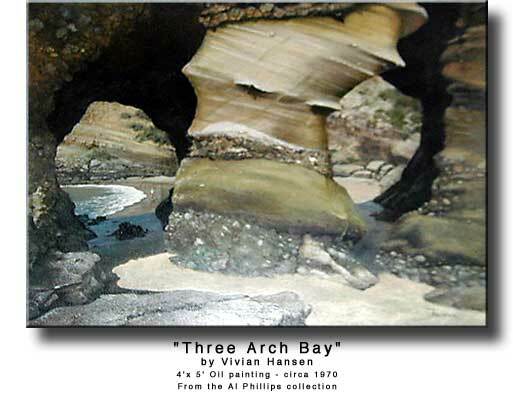 Thanks go to Gil Thibault for this great addition to our Three Arch Bay history. I have this picture in a huge format (68"x 48") at home for archival purposes. At the size shown above, almost no detail at all shows. For example, how many cars do you see parked on the southern point of the bay? You can count them easily - and even determine their make and color at full-size. I have chosen six selected areas to show you at full-size. You won't believe how detailed they are till you see them for yourself. It's like having a telescope in time! See six selected areas from the picture above! South end of Three Arch Bay in 1978. 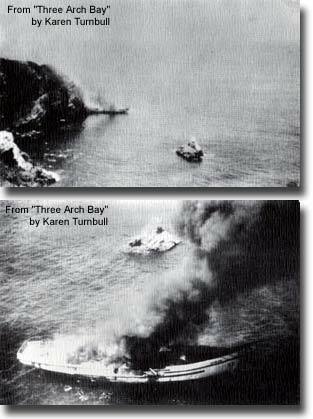 In 1943, at the height of WW2, a boat engulfed in flame drifted around the rocks at the south end of the Bay and toward Bird Rock, followed closely by a Coast Guard vessel. Mrs. Kitty Briggs was photographing this scene from the cliffs above when she was spotted by the men on the Coast Guard boat. They immediately dispatched a small motor launch full of armed soldiers to the beach, who then scrambled up the cliffs to Kitty, and confiscated the film in her camera, then left without telling her the why or wherefore of their actions. Unknown to the soldiers, Kitty had snapped two photos of the scene at the end of a roll of film that was already in her camera, put the used roll in her purse, and then switched to a new roll - the one the soldiers eventually confiscated. If they wouldn't tell her what was going on, she wasn't going to tell them about the first roll of film in her purse. What was the reason for the Coast Guard's actions? No one ever found out. These two photos, and a propeller and anchor that Ralph Newman later recovered from the wreck are the only record of the event. 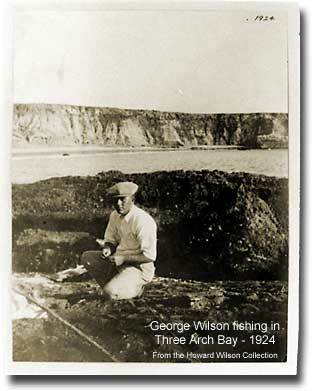 George Wesley Wilson seen fishing on the rocks of Whale Island in Three Arch Bay in 1924. Both Wilson Ave. near Laguna Beach High School, and Wesley Drive, right north of Aliso Creek, are named after him. Help Add to our Knowledge of Three Arch Bay! If you have any pictures that you think others would like, and want me to add them - to either Three Arch Bay or South Laguna - please let me know. Obviously, the final resting place for all physical material should be The Laguna Beach Historical Society, where it can be safely kept for future generations. However, the material is usually never seen by anyone unless they physically go to the museum and seek it out. A difficult task for someone in Iowa for example. But by also gathering this fragile information in one place in a digital form, anyone with a computer can access from anywhere, like Iowa, Paris, Bombay, or even distant North Laguna. And it's harmless to the material, and painless for you! Just please allow me ( or you can do it if you know how - scan @300dpi ) to scan the material into digital form, and it'll be up on this site instantly. See more unique historical pictures of the Wilson family's "Aliso View Grocery" in South Laguna and other rare and fascinating historical pictures of South Laguna Beach. Thanks for visiting. Watch out for traffic on the way home! This photo was taken just to the north of Three Arch Bay looking toward Laguna Beach. 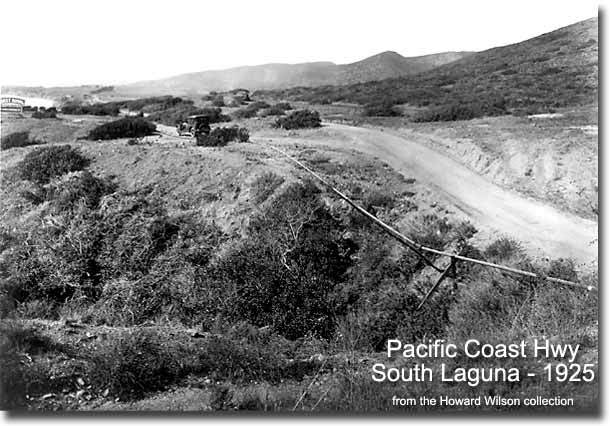 The road sign on the left says "Coast Royal", the developers name for South Laguna. these pages besides myself and my dog. Sign it! Just toss me a bone will ya!